The biggest theme/overarching idea I learned about the history of computer science is that the world surrounding the technology is what “creates” it (forms it/affects it). One origin story focuses on how it was the military that created the technology, even if it wasn’t accessible to the public. Computer scientists “had been exposed to projects like SAGE, which was a gigantic military project that involved real graphical displays that had been built for billions of dollars. So the technology was known, it was just insanely expensive and not practical” (Dear, The Friendly Orange Glow Talks at Google Video). This information, as discussed by Dear, shows how technology is affected by its environment because in a world that is at peace and has no need for a military, the technology wouldn’t have been created. Even though the technology wasn’t reasonable for commercial or personal use, it was still made which was an innovation in itself because the “formula” for creating it is just as important as the piece of technology itself. One aspect of technology and its formation that has been made a point of is how flexible and socially-aware it is. Rankin commented on how there is emphasis on “creativity and collaboration and community” (Rankin, A People’s History of Computing in the United States Talks at Google Video). This description explains how technology is created with the benefit of society in mind and is always changing to reflect the world it is being built for. Technology, as seen in the quote above, brings people together (“collaboration”) in order to create (“creativity”) ways to enhance our lives (“community”). So, the history of computer science can be explained by the statement, “technology is not a thing apart from society” (Rankin, A People’s History of Computing in the United States Talks at Google Video). This idea of connecting technology and society can be implemented into the classroom to put characters/themes/facts/etc into real world context. For example, in order to determine the relationship and characterization of the different actors in Romeo & Juliet, the students might be assigned to make a fake Facebook or Twitter page for the characters. What surprised me the most was how scientists were so invested into their community/society in addition to the technology. For example, Rankin stated how “people who are creating, who are inventing, who are problem solving and moonshotting. And it’s almost always that they’re doing those things with other people in mind” (Rankin, A People’s History of Computing in the United States Talks at Google Video). The reason this idea of personable connection surprises me is because I would’ve thought that scientists would focus more on creating something new so their name could be attached to a scientific advancement. 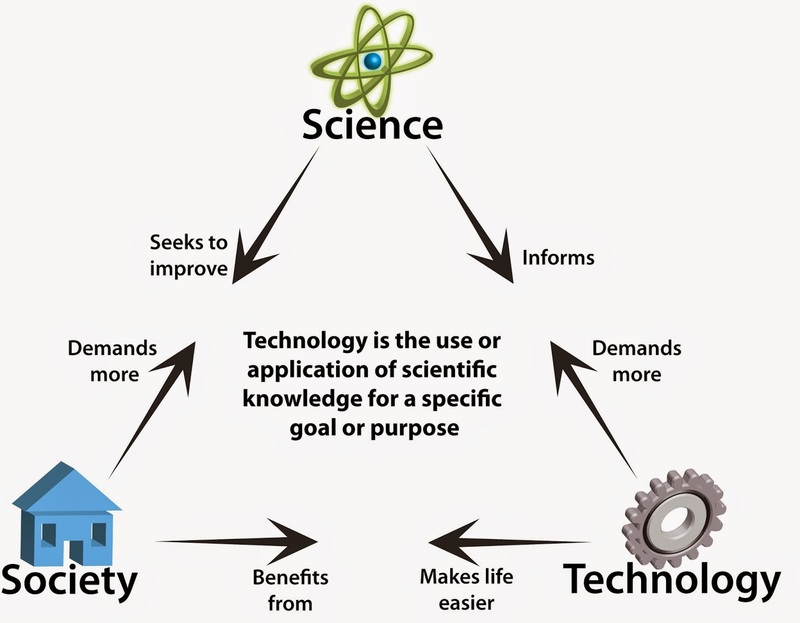 I’m not saying scientists are selfish or big headed; I’m stating that it would make sense for someone who spent years of effort, time, and money on researching and creating something would want their name attached to the technology as a center of importance. This mindset of keeping focus on benefiting other people can be applied to the classroom; for example, this idea could help explain why certain pieces of text were written, why some events happened in history, and why certain experiences in science occured. Another piece of information that surprised me was how people have always been invested and obsessed with technology even before the production of smartphones and tablets. Dear commented on this idea by explaining there were “online cultures that had the kind of apps that got people addicted. And they were having the dopamine rush in 1973 that we hear talked about today with social networks. You know, Twitter, Facebook, and Google+” (Dear, The Friendly Orange Glow Talks at Google Video). This idea fascinates me because it shows how humans have not changed because even before the iPhone people were hypnotized by technology. This idea of how people are easily interested in “new” things can help explain trends in history to students in the classroom. The debate between Rankin and Dear was very interesting, and awkward, to say the least. What I got from their dispute is that Rankin formed a connection between gender (stereotyping, roles, etc) and PLATO in which Dear was angered by because he worked with PLATO and saw no evidence of this argument. Rankin explains herself by stating, “I am a historian, and my expertise includes gender, science, and technology…I was presenting for the first time a focused analysis on gender and PLATO, seeking feedback from the audience of fellow academics at the conference. I pointed out some ways in which circa 1960–75 PLATO reinforced American Cold War gender roles. I briefly discussed and analyzed evidence of women complaining about harassment on the PLATO network in the 1970s, pointing out that social media misogyny has a long history” (Rankin, Why I’m Firing Michigan State: Sexual Harassment, Online Harassment, and Utter Institutional Failure). What Rankin points out here is very intriguing because it shows a possible connection between PLATO and societal expectations of women in which Rankin was familiar with both. Since we know technology is very influential, it does make sense how one could argue that a network could put forward messages (ideas) that were common, even if outdated, in the society (that of gender roles for women and the harassment women face daily). However, Dear did not agree with this. To start off, it’s important to know that “Dear is a self-described technology entrepreneur who personally worked with PLATO from 1979–84” (Rankin, Why I’m Firing Michigan State: Sexual Harassment, Online Harassment, and Utter Institutional Failure). This information is important because it shows how Dear is personally involved with PLATO and supports his aggressive nature in defending its name. In retaliation to Rankin, Dear commented, “All I had to go by were the tweets, all marked with a #SIGCIS2017 hashtag, and at the moment, all about the PLATO system’s culture. A PLATO culture I didn’t recognize at all, even though I had been immersed in it since 1979…Early environmental feminists? Political purposes? What? I had no context. I had no idea what was going on. Was this the same PLATO system as the one invented at the University of Illinois?” (Dear, A Response to Dr. Rankin’s Essay). What this quote explains is that Dear, who worked for PLATO, was unaware of there ever being any type of “hidden agenda” (ex. enforcing gender roles) involved with PLATO. Scientists, as well as artists, feel a certain “maternal” nature for their technology because of their devotion to creating it; so, Dear rebuttals Rankin by explaining that, as a long term employee of PLATO, these accusations are false. What can used in the classroom from Rankin’s argument is the idea of thinking outside of the box and forming connections. This can be helpful in determining cause and effect in history, conducting science experiments, and analyzing a text. What can be used from Dear’s arguments is the idea of having your interests and things important to you motivate your opinions and actions. This can be helpful in art and English classes for creating pieces that not only follow an assignment’s directions, but come from the heart and mind. I am so impressed by your insight on this week's readings and viewings. You wrote: "What Rankin points out here is very intriguing because it shows a possible connection between PLATO and societal expectations of women in which Rankin was familiar with both. Since we know technology is very influential, it does make sense how one could argue that a network could put forward messages (ideas) that were common, even if outdated, in the society (that of gender roles for women and the harassment women face daily). " I couldn't agree with you more. Technology is a function of the society that creates it, and if the society is male dominated, then the technology will focus on the needs and desires of those creators (men). This is not necessarily an attach on the early innovators, as I believe Dear took it to be, but an observation on how the history and societal norms influenced the use and application of the technology. I am really interested in the insights you had about the role of community in this process. I think that technology is supported by the community. If people were not as interested and dependent on technology (especially their phones) then businesses like Apple would have become the empire that it is today. It is also important to look at schools and their use of technology. Most schools have computer rooms or a library that has a bunch of computers. Some schools have laptop carts that can go classroom to classroom while others give their students their own personal laptop. We have become a society that uses technology in every aspect of our life;so, we are what is driving the technology industry and research forward.